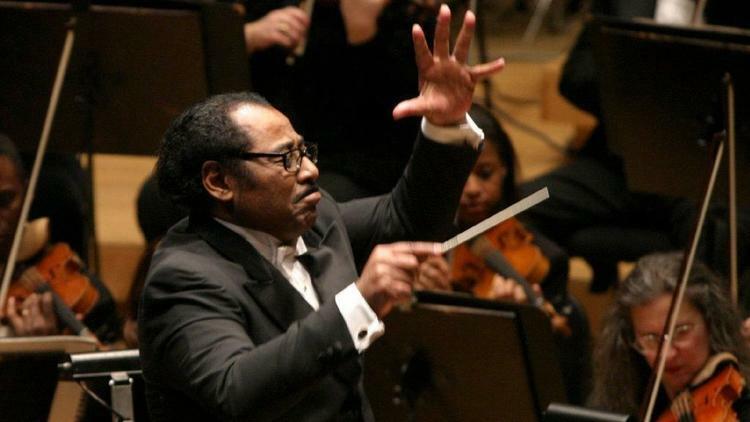 Paul Freeman redefined what orchestral music could be via the "Black Composers Series" and Chicago Sinfonietta. Everyone in musical Chicago — and beyond — knows how hard Paul Freeman worked to bring sorely needed diversity to classical music. The most famous facet of the late conductor’s campaign was the Chicago Sinfonietta, which Freeman established in 1987 to open up minority staffing and repertoire in American orchestral music. But Freeman made an equally important – though far less celebrated – contribution in the mid-1970s, when he recorded the landmark “Black Composers Series” for CBS Masterworks. On its nine LPs, Freeman documented signal compositions by William Grant Still, George Walker, Hale Smith, Olly Woodrow Wilson, T.J. Anderson and other black composers who had been mostly excluded from concert and recorded life in America. Thanks to Freeman’s efforts, listeners finally were able to savor and study contemporary recordings of Still’s “Afro-American Symphony” (1930), Smith’s “Ritual and Incantations” (1974) and earlier works, such as Jose Maurico Nunes-Garcia’s Requiem Mass (1816). The “Black Composer Series” was reissued in the mid-1980s by the nonprofit College Music Society, and now – at last – it’s out again, for the first time in a Sony Classical boxed set of separately jacketed CDs remastered from the originals. In addition, the new package includes a disc titled “Symphonic Spirituals,” featuring music for voice and orchestra recorded by Freeman and the Royal Philharmonic Orchestra in 1979. Though the repertoire gathered here barely scratches the surface of black creativity in classical music, it makes a powerful statement about scores long ignored or worse. Predictably, not everyone saw the virtue of Freeman’s labor of love. “Some people criticized me when we released the ‘Black Composers Series,’” he told me in 1990. Certainly works by Still, Anderson, Smith, Wilson, David Baker, Ulysses Kay and Walker (the first African-American composer to win a Pulitzer Prize in music) are heard in concert more now than when Freeman first released his series of recordings. Next season, for instance, Chicago Symphony Orchestra music director Riccardo Muti will conduct Still’s “Mother and Child” and the Symphony No. 3 of Florence Price (who faced double discrimination as a black woman in classical music). Freeman’s dedication to this cause arose, in part, from the racism he experienced first-hand. “When anyone used to ask me what I wanted to be when I grew up, I always would say: ‘a musician,’” Freeman told me. “Now, at that point in my life, I didn’t know how important Louis Armstrong and jazz music were. But I did know that I had no desire to be the next Louis Armstrong or anything like it. The “Black Composers Series” and Chicago Sinfonietta represented Freeman’s response to such slights, which eminent choral conductor Robert Shaw illuminated for me in 1988. “I think we have to admit that one of the reasons so few works by black composers turn up in the concert hall is that, in generations past, most gifted black musicians didn’t even bother to pursue classical music; they went straight into the popular fields, where they were treated more humanly and welcomed,” said Shaw, one of the earliest American conductors to advocate for concert music by black composers. Freeman made musical history with the “Black Composers Series,” but he knew that would not be enough – that listeners needed to encounter this work in concert, particularly played by an ensemble that encouraged diversity.